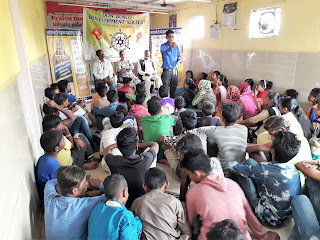 Mumbai, 11-November-2017: The Don Bosco Development Society (DBDS) organized an awareness session on addiction for youth in Kaulabunder Slum (Reay road) in Mumbai. 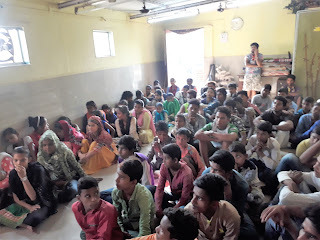 81 youth participated in the workshop which was held in association with Nasha Bandi Mandal and Salam Bombay Foundation. Mr Sunil Pandhare (Career Coordinator – DBDS) welcomed the resource persons and the participants for the session. He introduced the resource persons and spoke on the menace of growing drug abuse in the society. 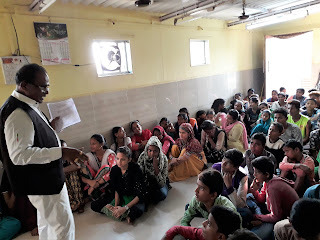 Mr Nandu Bansode and Ms Sonal Anubhavane (Staff - Nasha Bandi Mandal) along with Mr Vishal Gaikwad from Salam Bombay Foundation lectured on the types of addictions, its ill effects, possible treatment and de-addiction process. 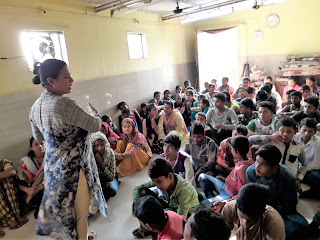 The resource persons through their sessions also created awareness on prevention and rehabilitation. Major focus was on addiction to smoking, alcohol and chewing tobacco. 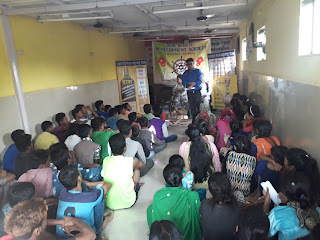 It was an enlightening session for all the participants. Master Alam Shaikh (a youth participant) proposed the vote of thanks.